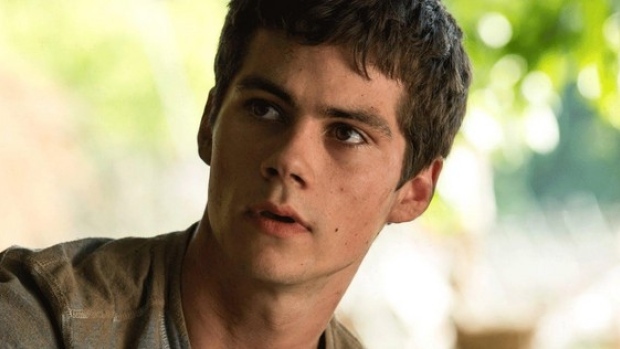 -It’s hard to get a handle on what exactly happened to Dylan O’Brien on the Vancouver set of the Maze Runner sequel yesterday. TMZ posted a rather alarming story about him getting run over by a car, while Deadline says he fell off a train replica and fractured his cheekbone or orbital socket. A writer on the movie tweeted that his injuries are not life-threatening, while his publicist says early indications is that he will fully recover. Whatever the case, production is shut down until he can return to set. -I was in the middle of my ‘getting ready for work’ routine this morning (watching GMA, trying to find my other shoe, forgetting that I need to keep the curtains closed at my new condo and giving an eyeful to the creepy dude across the street — the usual) and the most beautiful thing in the world stopped me in my tracks: a kitty litter commercial came on starring Katherine Heigl! This is what happens after you’re publicly scorned by Shonda Rhimes. –Tori Spelling once almost hit Matt LeBlanc with her car. Come on. Episodes isn’t *that* bad. -I don’t watch Supernatural, but I do enjoy their blooper reels. -Also, I don’t watch Scandal but I read the hell out of Scott Foley and Josh Malina’s recap blog. It’s basically just a weekly flirt fest. –Blake Shelton is suing In Touch for $2 million for saying he has a drinking problem and was caught by Miranda Lambert at their home with a bunch of naked women. So, that’s a ‘no’ on their article, then? –Sean Penn was seen kissing a mystery blonde — which means he’s not kissing Minka Kelly. Whew! –Kim Kardashian is not good at Snapchat, which is weirdly charming (possibly because I, too, am not good at Snapchat). -Here’s the first teaser for Netflix’s Luke Cage. Screw Daredevil. Gimme all of this instead! –Drew Barrymore and Timothy Olyphant just signed on to a Netflix romantic comedy series. Want! -It’s been a long week. Here’s a dog dog licking Ryan Reynolds. -Um, is this poster for Ryan Gosling and Russell Crowe‘s new movie for reals? -Well, this makes me feel way better about quitting Sleepy Hollow last year. -If the shark manages to actually bite Blake Lively, I’m going to watch the crap out of this movie. –Matthew Goode and Matthew Rhys are learning to be sommeliers in this clip from their wine show. God, I want to marry this series so much already and it hasn’t even debuted!